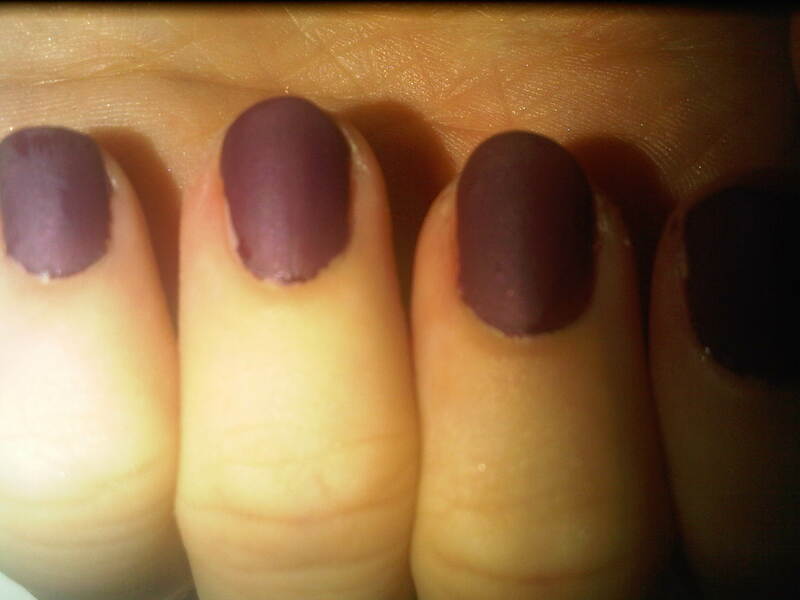 The war of the matte nail polishes has well and truly commenced with matte collections and top coats being released left right and centre making it easy and relatively cheap to update your nail polish collection. 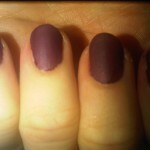 OPI, Essie, Chine Glaze and Zoya are to name but a few of the luxury nail polish brands who have released matte finishers or collections but until now there has been nothing available in the UK for the mass market. 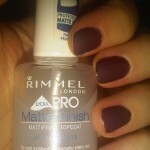 Those of us who lack the patience to find either a UK stockist or to order any of the above brands online will be pleased to know that Rimmel have jumped on to the matte bandwagon and are pleased to present their Pro Matte Top Coat (£4.49) which you can pick up from your local Boots or Superdrug. 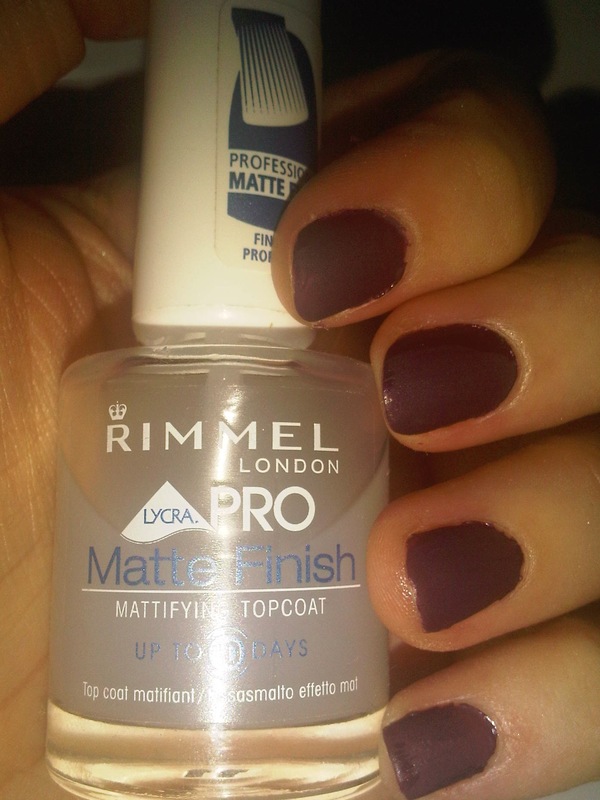 Now, unsurprisingly Rimmel recommend that you apply this over your favourite Rimmel Lycra Pro nail polish, but never ones to miss an opportunity of throwing caution to the wind we have been applying this to various brands and haven’t had any explosions yet! 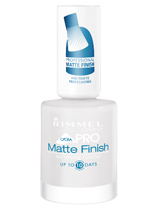 It’s best to apply this to dry nails as opposed to tacky as the top coat sinks in fairly instantly giving the appearance of dry nails. Alas they are not dry and I learnt the hard way when I quick footed it into the bath and got out to find my nicely painted nails all smooshy. 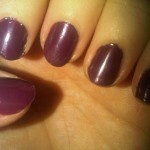 Lesson learnt I now apply this to bone dry nails! This product is great value for money considering the fact it doubles your existing nail polish collection and looks fantastic over deep winter colours for the upcoming chillier months. 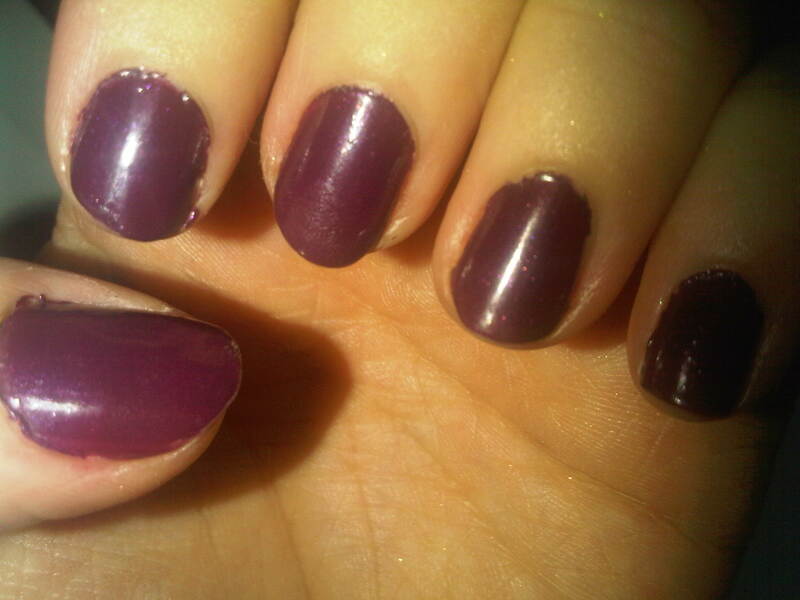 Tip: Try this over a glitter polish, we recommend wearing over Models Own Blue Sparkle or Barry M’s Once Upon a Time.